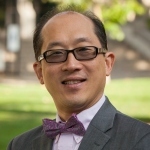 David J. Courey, What Has Wittenberg to do with Azusa? : Luther’s Theology of the Cross and Pentecostal Triumphalism (Bloomsbury T&T Clark, 2015), 304 pages, ISBN: 9780567671899. Dr. David Courey is the Dean of graduate Studies at Continental Theological Seminary in Brussels, Belgium. In addition, he was a pastor for thirty years and taught in Bible colleges in Africa and Asia. 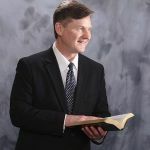 His unique perspective as a pastor-scholar provides both a devotional and academic approach to the Pentecostal movement. 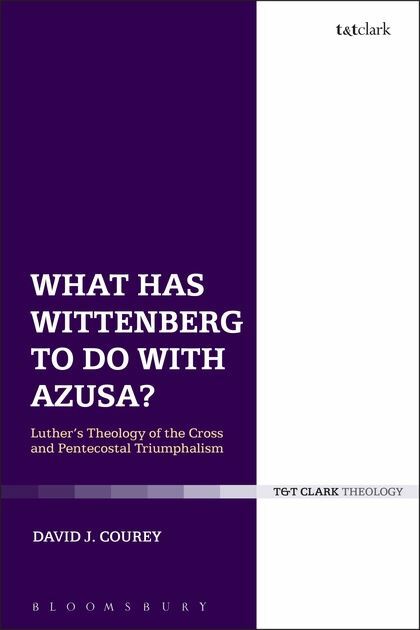 My curiosity was piqued when I noticed the title of his book, What Has Wittenberg to do with Azusa? on the Pneuma Review’s list for book reviews. 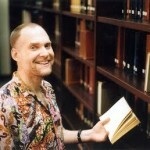 I had recently finished my PhD dissertation that contained similar notions which David J. Courey related in his writing. 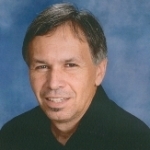 Courey posits that North American Pentecostalism remains at a crossroads and is in crisis. Throughout his book, he purports that the Azusa-based faith contained a triumphal attitude from its beginning. This triumphalism was not born in a vacuum, but developed out of the millennialism and Wesleyan-holiness movements of the nineteenth century. The author believes the cure for triumphalism is Luther’s theology of the cross (theologia crucis). The theologia crucis both critiques and balances the Pentecostal experience. Courey continues throughout his book, expanding the theology of the cross, in conjunction with pneumatologia crucis and eschatogia crucis. Tongues and healing have become the two best known aspects of Pentecostal spirituality. He opens each chapter by quoting a verse from a well-known hymn from traditional Pentecostal hymnody, utilizing the song’s message to expound on his convergence of theologia crucis with triumphalism. In chapters 1 and 2, Courey recounts the history of premillennialism, holiness, and the divine healing movement. As Pentecostalism was born in the early twentieth century, he recounts how this dynamic movement eventually developed into an institution, as all religious revivals become. Couey repeatedly mentions how the Latter Rain Movement effected Pentecostalism. The Latter Rain multiplied the mission of Pentecostalism but also ran out of steam, becoming “a victim of its own success” (p. 110). Indeed, a, church’s hymnody reveals the theology of the denomination, and Pentecostals sang music filled with faith, expectancy, and victory. In chapters 4 through 6, Courey employs Luther as a conversation partner, intricately juxtaposing concepts and quotes from the Reformer’s theology of the cross into Pentecostal triumphalism. 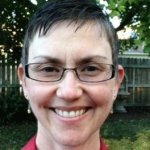 Courey seeks to reveal the limitations of the Pentecostal experience by relating theologia crucis with healing, Spirit baptism, and supernatural phenomena. Certainly, Courey believes that Luther would resonate with Pentecostal scholarship, for Luther speaks of the supernatural world of angels, demons, and the devil; however, his theology of the cross remains as a needed corrective to the overcoming viewpoint of Pentecostal triumphalism. In chapter 6, he devotes a fair amount of written space to unpack what he calls the sacramental signs of tongues and healing in Pentecostal teaching. Tongues and healing have become the two best known characteristics of what Pentecostals present in their outward spirituality. In due course, Courey turns his attention back to Luther, agreeing with the Reformer that one must defer to the Word, first, and then all experiences are subject to scriptural principles.